Getting the smaller architectural details corrects is also important. Rather than a flat looking wall, it is good to make it more interesting. Useful concepts are using the texture of brick and making the windows be slightly inset. 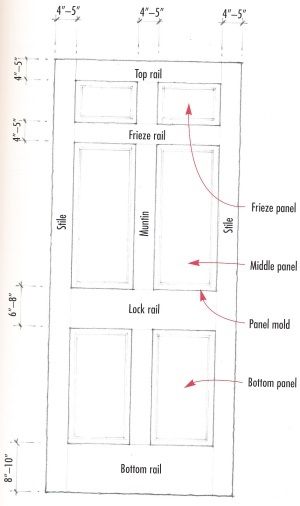 Inset windows take advantage of the walls being fairly thick (walls in the olden days were thick and concrete+polystyrene walls are also thick). If the walls look thick then it gives the impression of a substantial building. Even a 2" or 3" inset of the window relative to the wall face makes a lot of difference to the look. Window sills and visible lintels above windows also help create texture. Windows should ideally be taller than they are wide. Ideally they should have the glass divided into multiple panes (panes taller than they are wide). Personally I do not like false pane dividers so I opt for plain glass. 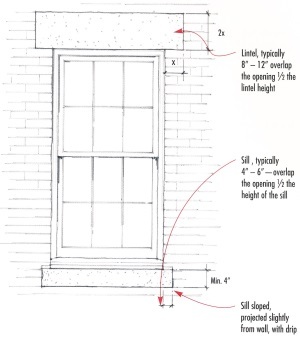 Always express a lintel above windows, particularly if the walls are brick. Windows should be recessed into the outer wall. This looks nicest because it provides visual texture to the wall and shows that the walls are thick and substantial. In my case I opt for about 5" from the outer surface of the wall to the outer surface of the glass. 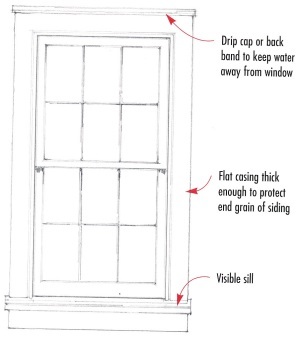 Doing "inny" windows also has the advantage that rain water naturally bypasses the surface of the window to avoid leaks as well as making it easier to see through the windows when it is raining. Room height in inches / 13 * 2.67 (and then round it down slightly). My main floor has a ceiling height 12 feet which is 144 inches, so the wainscot should be 2' 5-1/2". 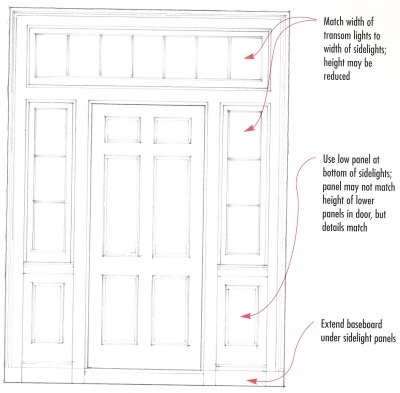 My bedroom ceiling height is 10 feet which is 120 inches, so the wainscot should be 2' 0-1/2". My basement ceiling height is 14 feet which is 168 inches, so the wainscot should be 2' 10-1/2". In my case I have chosen to make the wainscot the same height as the window sills. This typically means it is lower than these calculated heights.